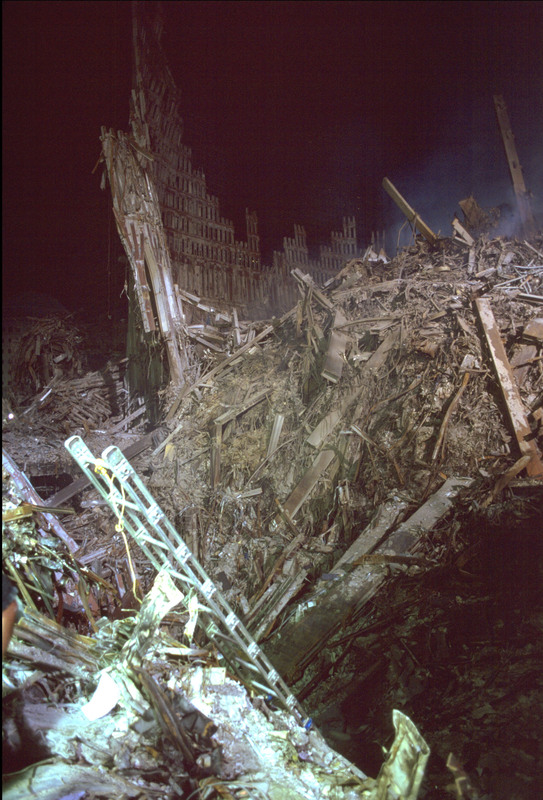 "Classified as a crime scene, all photographers were banned from Ground Zero,but through ingenuity and determination , Meyerowitz was the only photographer to gain access and remain there through the entire 9-month clean-up process"
Now, to be sure: image A (with rubblepile still profusely steaming/smoking) must have been snapped at an earlier time than image B (That is, in the REAL world). So ...uh... did someone, at some stage, try to clean/remove those ugly white stains from that steel beam? In any event, these "TWIN" IMAGES only go to reinforce our working thesis, i.e. that the 9/11 imagery (falsely credited to a wide array of photographers) was ALL crafted by a single/centralized entity within the digital domain. EDIT: I've now found the source of image A. It is among the batch of FEMA-released images (in 2010) - some of them credited to fugitive-now-exiled-in-Argentina Kurt Sonnenfeld - yet this one is simply titled "FEMA-photo n#183". The exif data contains ('surprisingly ) no actual date of image capture - just this... : "File Modification Date/Time : 2009:08:05" ... Duh! Joel Meyerowitz - "the only photographer allowed into the ground Zero area"
It's all a fantasy... the alleged Ground Zero images are all digital concoctions. Didn't find anything about the dude, but there are plenty of names on wikipedia (firefighters and police cops). Perhaps we can find something there? About the picture...Shouldn't the uniforms look like they have been worn more than once? In many pictures, the personnel appear to be fresh out of wardrobe, ready for another photo op. These people are too clean, too crisp, and they look out of proportion with the background. At f/32, the background competes for the viewer’s attention. At f/5.6, the flowers are isolated from the background. As you can see, the first picture has a BLURRED background and it is focused on the flower. I think that the importance of this thread is a bit above normal. The beam cannot fall down with an undamaged joint like this. The connection between perimeter columns was not a weak point, and it cannot ever look like this. As seen, there is numerous and various other problems with the rubble pile photos as well. The fake photos was simply made with a lot of these "beams" all over the place, and no one thought that this would make it easy to spot a fake picture. So you see we are 'fighting' the propaganda control on many levels; critical thinking and literate communication being essentials we can all take responsibility for developing and improving ourselves. yes i quite agree. Im sorry if this is old news but i cant seem to find it anywhere. It was just released april 2011 by NIST. 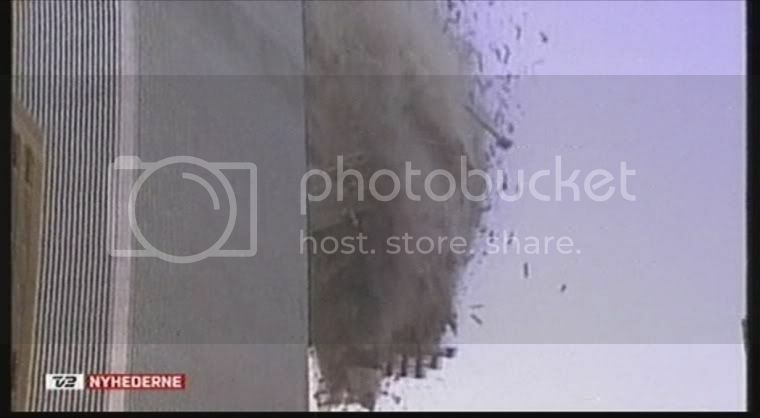 Thanks muchly for linking to that (absurdly low-quality) alleged "amateur video" of the Ground Zero rubble. It has helped confirm our working thesis - i.e. 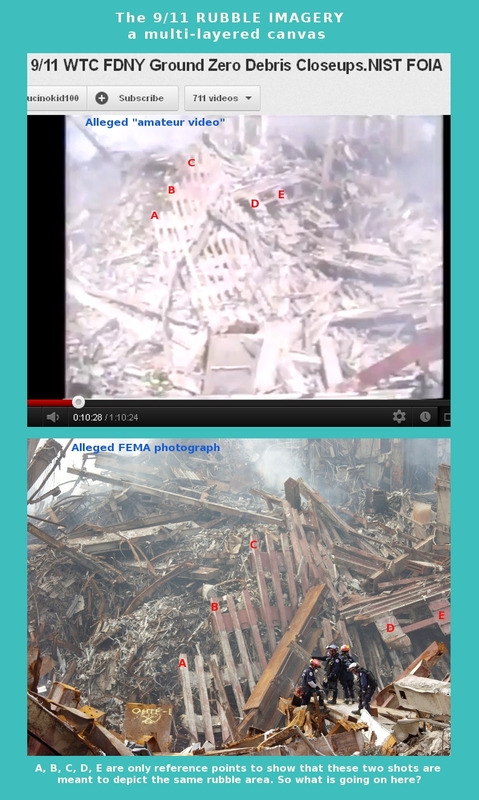 that all the existing rubble videos/photos are just digital composites. 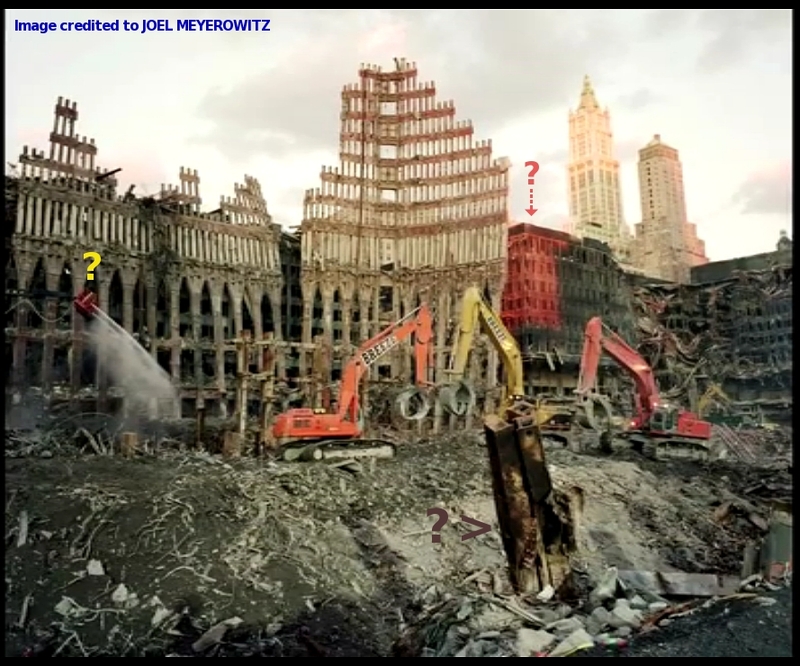 I find it strange that everyone at ground zero in the NIST video i just posted, starting at 57 minutes, is simply standing around. The camera does a quick 360 and then an instant cut. These are the alleged famed firefighters and rescue crews who spent countless crucial hours trying to get to the "survivors". Looks like a bunch of sims standing around the same rubble we keep seing over and over and over again. Had a thought today. Is anyone familiar with the George Stephanopoulos interview with Giuliani, I think where they justify the size of the rubble pile on Sept.12, 2001? Supposedly, there was a brigade of trucks of some kind that worked all through the evening to haul away the rubble, reducing it to a small pile. The likelihood of a brigade of tractor/trailer rigs, and/or dump trucks, being requisitioned at no notice in order to cart that amount of debris away is infinitesimally small. I doubt that any records exist that name transportation contractors involved in that exercise, but it is near impossible that the rigs required to perform that task were idle and available at a moment's notice. Far more likely they were commissioned far in advance to guarantee availability. Ask any logistics provider, especially someone from the northeast. Finding a brigade of trucks at the drop of a hat is no small feat. Farcevalue wrote: Had a thought today. Is anyone familiar with the George Stephanopoulos interview with Giuliani, I think where they justify the size of the rubble pile on Sept.12, 2001? Supposedly, there was a brigade of trucks of some kind that worked all through the evening to haul away the rubble, reducing it to a small pile. Far more likely they were commissioned far in advance to guarantee availability. The bolded quote indicates you take seriously that interview as having occurred in good faith, and you are now trying to justify the reality of what they are describing. Silly. Further, how in the world do you know what the size of the pile was, whether big or small? There is no trustworthy evidence answering that question. I don't know that I would take it in good faith, the point is that it was broadcast on mainstream media (no reason to trust that, of course) but it was a bit of an oddity to put into the public consciousness, considering all the other things that could or should have been addressed at the time. I did not follow the aftermath too much, I seem to recall endless loops of the "planes" and "collapse" for a week, but surely they could not have quarantined the island for too long after the 11th. The point is, and maybe it cannot be verified in any way, if the debris was removed at record speed, there had to be arrangements made in advance. No evidence, no proof, just idle speculation.